Recently, I was lucky enough to be part of the Micro Focus delegation at the gargantuan AWS Re:Invent event in Las Vegas. Strewn up and down the Las Vegas Strip, Re:Invent consumed 6 major hotels, the entire Sands conference centre, and attracted over 50,000 guests. Micro Focus, as Silver Sponsors of the event, were there in force too. Our four focus areas fully represented by representatives talking Enterprise DevOps, Security, Predictive Analytics, and – as a focal point and lead discussion topic – Hybrid IT in the AWS Cloud. A busy Micro Focus booth saw hundreds of visitors enquiring about our company story, and moving, managing and modernizing enterprise applications in the Cloud. The real evidence came from our community talking about Micro Focus’ value in their own words. The first example of that was in the Partner Event Mainstage Plenary session, during which the Micro Focus logo was daubed across the 30 foot screens as Bernd Heinemann from Allianz, a major Insurance organization, talked about the journey of modernization they took moving mainframe systems into the cloud, all driven by the Micro Focus AMC solution. Immediately following the session, the Micro Focus booth was sought out by other Enterprise organizations looking for more details behind the mainframe modernization story. Underscoring the interest in modernization was the Micro Focus special-invitation sessions on Wednesday. We arranged two tracks, one on mainframe modernization, one on IT Operations, both with AWS as the target platforms. Many large enterprises have built core business applications, which now run on mainframes or other servers. BMC reports 59% of mainframe shops increasing workload. IBM reports 92% or more of the banking, insurance, retail and airline industries are all mainframers. Meanwhile our own study reveals 85% of core applications remain critical to the business. However, Digital disruption is forcing it to think entirely differently about what IT is, how it works, and how it delivers business value. And the mainframe is not exempt. Surveys suggest that the CEO believes they are innovators, and must lead change to support future need – but this isn’t easy. 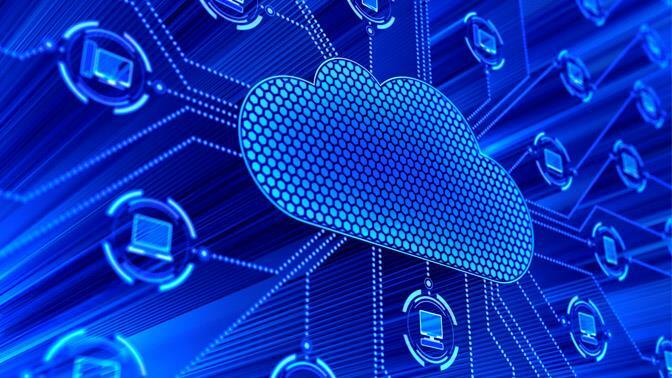 Which is where the Cloud comes in: a great opportunity for organizations to harness innovation with a very low operating cost to accelerate their digital transformation. Sysco Foods took exactly that approach, and have recently undertaken a shift towards Cloud as their primary delivery platform. Using Micro Focus, and AWS, Sysco have adopted a Cloud-first model and have moved their hitherto mainframe-based core applications into AWS, running under Micro Focus’ AMC modernization solution. While by their own admission there were important details they had to get right, the transition took place in time to ensure a new Disaster Recovery event (a local severe weather event) had zero impact on the group’s IT operations. Sysco’s story focused on the need for appropriate preparation regarding operations, infrastructure, skills, testing and a range of other key factors. In their case the ultimate measurement of success is that no-one internally noticed any change after the successful cutover to the redeployed, Cloud-based system. They later outlined a planning blueprint for all such projects, starting with the all-important strategy discussion and review of the existing mainframe system. Technology such as Micro Focus Enterprise Analyzer is invaluable at this stage to gain the right level of insight into the likely effort required and some of the finer points of detail involved. Finishing off we heard from AWS and Micro Focus experts on the platform and application deployment engine the two vendors offer, in partnership, to provide a robust and reliable deployment environment. Of course, each journey to the Cloud will be different. Each application set, each set of requirements, each strategy. What needs determining include how applications are accessed, how they are built, what they can do, what they integrate with, where they reside, how much they cost to run, how secure they are (and need to be), and many other variants.